The Ovolo 2 Arbuthnot Road Central is a four star hotel located in Central Lan Kwai Fong (LKF), next to Soho and in the heart of the city entertainment and business district. Each air-conditioned accommodation is decorated in a modern style and features amenities including a private bathroom, flat-screen TV, iPod dock and complimentary WiFi access. In addition the mini bar, daily breakfast and happy hour drinks are available free of charge. Guests also have access to a 24 hour fitness room and complimentary self-serve laundry facilities. 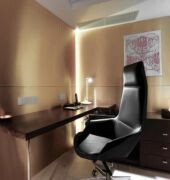 The hotel is within 5 minutes walk of many popular dining and entertainment outlets in Lan Kwai Fong and Soho. Ovolo 2 Arbuthnot Road is a 5 minute walk from Central MTR Subway Station and Man Mo Temple, whilst Hong Kong International Airport is a 40 minute drive from the hotel. The Ovolo 2 Arbuthnot Road Central is a Tourist, Boutique, City hotel, Design Trendy hotel. Located in Business District area. Shopping is within walking distance and the nightlife/restaurants are within walking distance from the hotel. 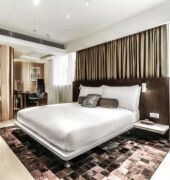 Descriptionclass="small" style="text-align: justify; font-size:11px;">The Ovolo 2 Arbuthnot Road Central is a four star hotel located in Central Lan Kwai Fong (LKF), next to Soho and in the heart of the city entertainment and business district. Each air-conditioned accommodation is decorated in a modern style and features amenities including a private bathroom, flat-screen TV, iPod dock and complimentary WiFi access. In addition the mini bar, daily breakfast and happy hour drinks are available free of charge. 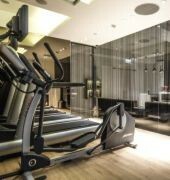 Guests also have access to a 24 hour fitness room and complimentary self-serve laundry facilities. The hotel is within 5 minutes walk of many popular dining and entertainment outlets in Lan Kwai Fong and Soho. 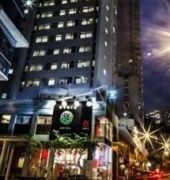 Ovolo 2 Arbuthnot Road is a 5 minute walk from Central MTR Subway Station and Man Mo Temple, whilst Hong Kong International Airport is a 40 minute drive from the hotel.